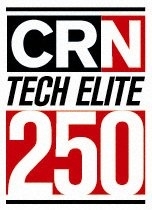 Lexington, MA, April 14, 2014 – Daymark Solutions today announced it has been named to CRN’s annual list of the Tech Elite 250. These companies represent an elite group of IT solution providers that have invested in the training and education needed to earn the most advanced technical certifications from leading vendors. In compiling the list, CRN editors worked with The Channel Company’s research group to define the most customer-beneficial technical certifications in the IT channel. These technical certifications – from vendors including Cisco, Citrix, Dell, EMC, HP, IBM, NetApp, Microsoft, VMware, and Symantec – have enabled solution providers to deliver the most premium products, service and support to their North American customers. Daymark Solutions is an experienced technology solutions provider focused on architecting, providing and implementing effective data center infrastructure, data protection, virtualization and managed and cloud services throughout the Northeast. The company’s primary mission is to help its clients use technology effectively to solve the business challenges they face today, while making sure their systems are agile enough to adapt to future requirements.